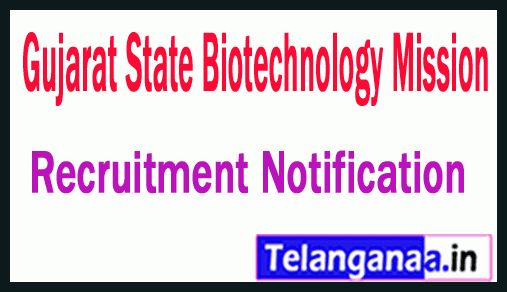 A latest job notification named as GSBTM Recruitment has been freed by the Gujarat State Biotechnology Mission. Dedicated and result oriented job seekers can submit applications through online mode for 52 vacancies on or before the end of December 10, 2018, Manager, Accountant, Typist Co-Clerk, Steno. Essential Education: Those job hunters have done 12th / Bcom / BBA / BCA / BA / Master's degree (Science / Management / Engineering / Technology / Veterinary Science / Pharmacy) / Graduate Degree / PhD from the recognized University or Institute may apply. In order to be related to the candidates applying for the above mentioned position and all the categories, the application fee of rupees must be paid. 100 / -. Selection of interested candidates will be based on their performance in written examination and typing test, which will be organized by the recruitment panel. Job seekers who want to apply for GSBTM jobs have to go to the official site which is http://btm.gujarat.gov.in. Click GSBTM Recruitment Notification here. GSBTM (Gujarat State Biotechnology Mission) Recruitment Notification Released For 21 Junior Researcher, Researcher posts All incoming and interested potential candidates may interview visit Walkin On 17-10-2016 More detailed information on educational qualifications, age selection, examination pattern, syllabus GSBTM (Gujarat State Biotechnology Mission) Recruitment 2016--21 Junior Researcher, Research Associate post mentioned below. Selection process -- all potential candidates are selected based on their performance in the interview. Pay Scale -- Rs. 12,000 / - (post 1), Rs 24,000 / -. (Post 2). How to apply -- all coming and interested eligible applicants are required, along with relevant certificates to the following address on October 17, 2016 to participate walkin iinterview. Address --Gujarat State Biotechnology Mission, Block-11, 9th Floor, Udyog Bhavan, Gandhinagar- 382,011.